Something different today. First though, the usual. 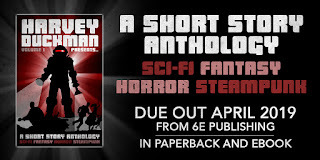 Don’t forget that the Anthology containing the brand new Brennan and Riz short, A Walk Through The Pleasure Gardens, is out now from 6e Publishing! Chapter 6 First Flight is the latest chapter for Orphan’s War over at Royal Road, click here to give it a read! I’m sorry that the quality for this chapter isn’t up to par as it should be. It’s no excuse but home life was more hectic, but it’s up now, and I know how I’ll approach it in the future. Let’s change the clock back, to say…the year 2004 where I was just seventeen years old. This was an important year for me, though it didn’t look it then. You see before then, I had done writing but it was mainly for English lessons in school. I had ideas, but I wanted to turn these into a different medium entirely. I had hoped then to become a games developer, so all those ideas were to become games that I wanted to make and thought would sell well. The first idea I worked on, was heavily inspired by Capcom’s Resident Evil franchise for various games consoles, perhaps too inspired, now that I look back on it with hindsight. There was differences, as I didn’t use zombies in my story, but it was still a dodgy company making bio-weapons, and full of action set pieces galore! So in its very first incarnation of the story that I thought up, I had wanted it to be a third person (or first person depending on mood) game called Infect or Destroy, where players could either choose to be the military guys (I.e. the good guys) or the monsters (self explanatory but the idea here was that they could turn the good guys into monsters, hence the infect part of the title). General plot was experiments gone awry, people sent into deal with it, simple. This idea joined the rest as time when on, till as I say, I started writing so I dragged it out and give it a makeover of sorts. Gone was the first title, instead I took a cue of a an old Red Dwarf episode I liked from Season 5 and ran with it (completely changing the meaning of the word in the process), this was how Terrorform: The Project came into existence. The plot is as basic as before, and I put a lot of tropes in, before I even knew what that word was. The creature swept its long arm round, it hit Ray in the leg and knocked him over, Michael noticed the claws that were growing from the creature’s hands, it swept its arm round again in hopes of getting Michael or Rodger, both of them managed to get out of the way. Michael pulled out his gun and aimed at the creatures head , he fired 2 rounds, he saw that the rounds hit, as the creature stepped back, a black liquid coming out of the wounds, it was still moving though it cam up to Michael and picked him up with it’s other hand, Justas it was about to bite his head off, there was more shots and the creature dropped Michael, when Michael looked again he saw that the creatures are had virtually been blown off, he turned around to see who had saved his life. It was Rodger and his Ak-47, he ran over to where Ray had fallen and helped pick him up, but the creature was still live and coming to get them, Michael fired another 4 shots this time aimed at the creatures chest, the shots went thought the creature, there was a horrible wailing sound as the creature slumped to its knees and fell to the ground, the carpet being stained with the black liquid, the creature stopped moving. “I think I’m fine, what the hell was that thing?” Ray looked at the lifeless corpse, he walked over to it and looked at it, he looked at the wound on the creatures back, the was a black lump on it, it looked like it was going into the skin, it wasn’t a wound, Ray almost threw up when he realised what it was. It was another creature, he backed away from the creature, he turned to face Rodger and Michael, we better report back to Mark and the others, he not going to believe this. Still with me? Good. Now you may be asking yourself, why did I go down memory lane for this? The answer is, to show that time and practice can improve things and that I didn’t just hit the ground running. In this case you can see I hit the ground hard and then struggled to get up again for a few years. I’m now a published author, whose work is a million years away from this story here. If you think your own work is no good, rest assured, it’s probably better then what you’ve just read. If for whatever reason you still want to read the rest of that train wreck (and it’s two sequels) just let me know and I may think about unleashing it all, but it will be on your head that I do so. Anyway, thank you for your time today, and have a good week everyone, till next time, just remember you are your own harshest critic. Happy Blog Day to you all! Let’s dive in to this weeks topics shall we! Episode 2 is now online and ready for you all to listen to! If you’ve been paying attention you will have realized that this superbly entertaining anthology from the publisher of my Brennan and Riz stories, is out right now. Like right now right now. Click the link to get order your copy and read a whole host of short stories from fantastic authors, including the Brennan and Riz story that’s the subject of today’s story behind the story. It’s a good thing I’ve got a strong stomach, otherwise I would have been rushing backwards and forwards to the toilet. In front of me was the scene from an extreme horror movie. Blood dripped from a couple of bodies that were suspended from the ceiling, collecting into pots and pans from the kitchen. Another two bodies were draped over the settee, their necks slashed open at just the right angle so the blood looked like wings on the opposite wall. The smell was horrendous, I didn’t know how Riz was able to keep it together, and Valarie, well she had obviously seen those police programs way too much, as she was taking pictures of everything important. Perhaps I should explain, see I had a call from Valarie a little over an hour ago, saying that she herself had been contacted by the government to look into a case on their behalf of supernatural dealings. When she relayed that to me, I was expecting something different then what I ended up with. What she brought me to, was a mass murder. A party of illegal squatters had all been killed in increasingly horrific ways. The ones who got their throats slit had it comparatively easy. Now, you may be asking yourself, what does this have to do with me? A guy with a talking Rat who investigates paranormal shenanigans, and when no jobs are around, more mundane matters. Well, the murderer’s masterpiece was in the hallway, and it was the first thing we saw. The body had been stripped and tied with small chains to several floating candles, with the chain links going through his flesh. His stomach had been opened and emptied, and moved somewhere else. In the now empty cavity was a fairy statue, taken from the garden and lavishly painted. The floating candles was a bit of a giveaway here. To make matters worse, they were scented candles, apparently brought to the crime scene. I’ve now lost any sense of attachment to the smell of cinnamon. The police who were first on the scene, saw that, and straight away reported it to their bosses, who reported it to their bosses, who in a long series of passing upwards, passed it to the Government department who dealt with this sort of thing. They are so secretive they don’t even have an official name or an acronym, though, I would suggest waste of space. These people then do what all those in charge do best, and shift responsibility. Citing lack of manpower, they contracted the job out to someone in the area, that someone being Valarie. She in turn, hired us, not revealing till we walked through the door, the full details of what was going on. I can take one body, as gruesome as it was, but this many? With all those...pleasant smells, mixing together? I wished she had hired someone else. Remember though that this is still a work in progress so requires work still. The inspiration for this story came while I was walking my two dogs through a small green area five minutes away from where I live. It’s a nice place, situated on two levels with sloping pathways connecting them. It was first created early in the twentieth century as a nice green space for the little town (which became more well known a couple of decades later for playing home to a Royal Air Force Aerodrome). As I was heading down the steps on the far right I noticed something odd about one of the large trees at the bottom. The base of the tree, where the trunk met the roots had grown open, with a small hollow, and in this space, someone had placed a small plant pot for some reason. Intrigued I looked around but couldn’t find anything else and no sign of what ever used to be in the plant pot. The tree itself took on the form of an arc around the opening, which, to my over active imagination, looked like a doorway. When I got back home I made a note in my journal, wanting to get this story seed down before I lost it in the jumble of my mind. That was the genesis of this story. After this, every time I walked through the Pleasure Gardens, I looked at the trees, and imagined them being gate ways, just like the rabbit hole in Alice in Wonderland, wondering what was on the other side, how I would describe it. It was around this time that I started working with 6e Publishing and one of the first things they asked (aside from the first set of stories) was a short story of roughly two thousand words. To be featured in an anthology they were wanting to do. I was more than happy to oblige. Before I left their office, I knew what story I wanted to write, and later that evening I started it. Two thousand word stories are hard to write and getting a story to fit the constraints is daunting. For contrast Girl in the Water (the first Brennan and Riz story, featured first as part of the Crossing the Tees 2017 Anthology) was three thousand words, and proved hard to edit. This is why the story is actually quite simple when you break it down. The pair show up poke around the tree and then suffer. They are the only speaking characters. I had wanted to use what limited words I had to give a good description of the “Other”, and so set out to think of the best way to get across the feeling that Brennan has when he’s cast there, and when he’s hearing the other being. Did I do well? Guess I’ll let the readers be the judge of that. I gave the link up there already, but if you fancy reading this story then click here! Hope this Wednesday finds you all well, now a couple of things before our main presentation. I spoke about this anthology last week but I wanted to remind everyone that it was officially launching at Sci Fi Scarborough this weekend! So if any viewers are at the convention, you can go and say hi to the awesome publishers 6e Publishing and pick up a copy of this awesome anthology! If you can’t get to the event, don’t worry, there’s plenty of time to get your preorders in from Amazon. I’ve just finished Chapter 9, and so far, I’m getting good feedback from my beta reader on how it’s shaping up. Look out next time for a small sneak peek. Work continues apace on this story, with chapter 4 having recently been uploaded. This chapter (The Siblings Part) sees Drake having to say goodbye to Ava as she arrives at the hospital to begin her life saving treatment. If you follow the #Vss365 tag on twitter you might find a little reference I put in to one of the best writers to use that tag. Click here to check out the chapter! 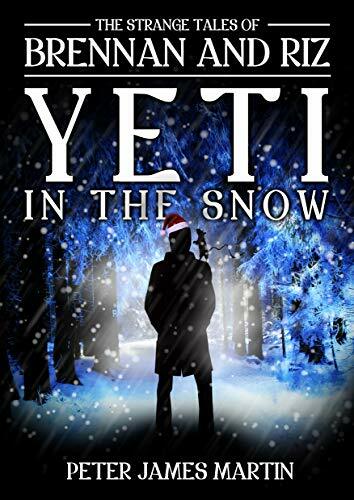 Or the original full title, The Yorkshire Yeti in the Snow, which was sadly lost due to constraints with the cover. When I first started writing, I’ve always wanted to do a seasonal story of some kind, a holiday special if you will for one of my story series. In fact back in the distant past of 2008, I started writing one that was never finished sadly, other things needed the attention in my life. With it agreed that the story would be wrote, and knowing that I had to have it ideally finished before the end of October (I was entering NaNoWriMo the following November so needed all hands on that) I had to settle on a plot. You would think that Christmas Folklore would mean I was spoilt for choice for ideas, but did the world really need a Brennan and Riz vs the Krampus then? (let me know if you think it will be a good idea, feedback is always welcome!) so I needed another idea. Enter the Yeti. Thinking about folklore connected with the season was much easier, and I quickly settled on the abominable snowman (to use another name), while they are quite common in folklore in the Tibetan region and outlying areas, the Yeti didn’t make much of an appearance in the west till the nineteenth century, when people were studying the cultures of the region. They have been depicted in various different ways through the media since their introduction, from being smart to being the missing link in human evolution (along with their sometimes related cousins, Bigfoot). So I had the creature from folklore, and the plot was beginning to form. It still needed something else. Given their history and the angle I wanted to take (Intelligent creatures that shared parts of our world but wanted to be left to their own society) I needed a villain. I have already said that I was entering NaNoWriMo, and I already had plans for it, one of which was one of the antagonists in the story, taking sometime from the Halloween Preston park story and going with it further, the idea of the Fae who didn’t fit into the two established Councils. I decided that Azure Fractal, would be linked to this, taking inspiration from the Fae who I would be writing about in the prequel, allowing it to sync up nicely. I had also decided quite early on that Valarie would reappear in this tale, as she was becoming a fan favorite through feedback I was getting. It’s always fun to give her and Riz scenes together as they have a nice back and forth. The last thing I needed was the location, and this was perhaps the easiest part. Ten years ago, my parents and my then girlfriend (now my wife) went on a great winters walk to where my father delivered parcels for his job, this was the Yorkshire Dales, a stunning place during normal weather. When we went it was covered in snow, giving it a new appeal, and proving fertile ground for my imagination. The best part is, as this wasn’t connected to any existing folklore in the region, I get to revisit it at some point. With everything in place, crafting the story wasn’t so difficult, and the climax saw a nice twist on the old formula, by Brennan being the one captured and needing rescued by the surprisingly efficient team of Riz and Valarie. The only thing I regret there is not being able to show what it was like from their point of view, given the perspective the stories use. Click here to purchase the story from Amazon! It's also free to read for those on Kindle Unlimited! Welcome everyone, got a couple of special announcements before I continue with the stories behind the stories! 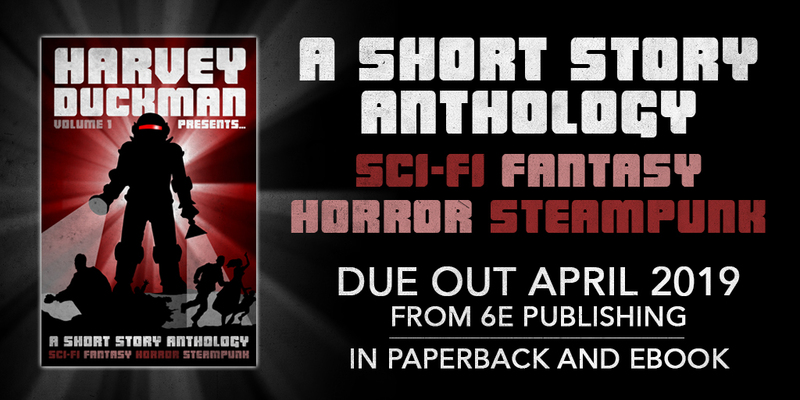 So my publisher, 6e Publishing, is launching a new anthology in April, the aforementioned Harvey Duckman Presents... And included in its number is a completely new Brennan and Riz story! As usual I'll share the story behind the story once the anthology is in readers hands. Check out the preorder below! Out of the orderly Writing Community of twitter comes chaos, Creator Chaos that is! Me and some well known writers from the famous #WritersCommunity on twitter have banded together to create a new podcast! The questions are taken (with permission) from the #characterchaos hashtag game. Find us on the link below and give us a listen! Now all that is out of the way, let's get down to business! Preston Park is located on a land that has been lived on continuously since the early medieval times. The land has changed hands countless times since then, starting in 1673 when George Witham bought it after the land was taken back following the defeat of the Royalists in the English Civil War, whom the land’s original owner, Lawrence Sayer pledged his allegiance to. The old manor house became known as Witham Hall, and thus began a series of changeovers. In 1820 though, it was bought by David Burton Fowler and in 1825, it was he who built the building that we know today as Preston Park Museum. The old manor house became a barn and was eventually demolished in 1974. The last private owner of the park was it’s most famous, Robert Ropner, who at the time he purchased the land was the High Sheriff of Durham. He purchased the park in 1882 and his family resided here till 1937. Stockon on Tees council bought it in 1947, and it officially became a museum in 1954. The park itself covers one hundred acres and has a number of alterations through out the years, and at one point, the world’s first passenger railway ran through the park, parallel to the main road. Through all this though, there has been a surprising lack of folklore associated with the land, and there is only a few sightings of ghosts within the museum. The most common of these is the lady in black that has been seen in the main hall, and within the basement. This is the source of the lady in black that taunts Brennan and Riz in the story. However, the ghost of Samuel, is based on a sighting that has been reported in the upper level of the museum. I uncovered this sighting early on when I was writing the story, and as I read it, I knew I had to incorporate it within the story somehow. The decision about the true identity of the lady in black was an early idea that I was able to expand on here. From learning that there was a haunted crossroads in Middlesbrough, I knew I wanted to include a story set there. I wasn’t able to pinpoint the exact crossroads I’d read about, despite the hints (on the outskirts of town, every one knows it yet won’t talk about it). Going for the next best option, I found another one that was just as suitable, one that happened to be near an old church for good measure. The church used to be a Methodist Church till it was sold off, to become a nightclub, and then sold again to become flats. The storyline itself was based on the idea of people going to a crossroads to do deals with the underworld. This is probably seen in best in the hit US show Supernatural. I took this and then added in some of the old folklore regarding crossroads, that of being a place to bury victims of suicide. The idea that the soul would get to choose where it ended up is a funny one, as what soul would purposely choose to go to the hell? Though it should be pointed out that it wasn’t just suicide victims that were buried here but suspected vampires as well, which are stories for another time. This originally started off as a completely different story. It was changed as I realised that I wanted to tell a tale regarding these black dogs on their own first. I also didn’t just want a story about these omen’s of death to just be about how they were completely antagonistic, hence the way the story develops. Whitby is a place that I have many story ideas around, so Brennan and Riz shall find themselves exploring that ancient town soon enough. The idea of supernatural beings being unable to cross running water appears here, during Jordan’s recollection of his night out. This is a very curious idea that you could find in many folktales. The black dogs go under different names across the country, with Black Shuck being one of the first recorded (and probably being the first to be immortalised through a rock song thanks to British rock band The Darkness), the Barguest though is Yorkshire through and through, and while there was tales of it hunting through the narrow streets of York, it is Whitby who has more tales linking it to the region. There is a different variation on spelling the name, being Barghest, in the story I went with the more familiar to me, Barguest. The origin of the name isn’t fully decided on, with several explanations offered. These range from Burh-Ghest (Town Ghost) to Barg-Geist (Mountain Demon when translated from German). One of the first recorded mentions of the Barguest is in William Hone’s book, Everyday Book (published in 1830). It takes the form of a ballad and tells the tale of a young man who goes out, unafraid, to vanquish the Barguest. The story does not end well for him, seemingly leaving the moral of not biting off more then you can chew. I diverge heavily from the folklore here by having the Barguest be the spirit of a dog that was turned into the monster by it’s owner. This allowed the hound to have a reason to haunt Jordan (the desecration of it’s masters grave). In the next story, you’ll see the Barguest again, but this time connected to a different piece of folklore, one that has ties to the Norse Mythology. This one started off as a completely different story, it’s based off a ghost sighting that’s seen on the road from Guisbrough to Whitby, and there’s conflicting reports of her origins. One of the front runners is that she was a governess for a wealthy family but lived elsewhere, and so walked down that stretch of road every night to go home. Her spirit haunts the road as she was killed. Thus she turns up as the hitchhiker host stereotype. The original story was based on an alternative take on the origin, which was that she was obsessed with the supernatural, and wanted to go to Whitby, because of it’s connotations with Vampire’s, thanks to Bram Stoker’s work Dracula, which has the titular count wash up on Whitby beach. The idea would have had a race against time as Brennan and Riz tried to get to Whitby Abbey before she could. Then before it came to time to write the story, I heard the legend of the Barguest and they were often seen at along side the Wild Hunt. The Wild Hunt stories detail times when people have found themselves in the midst of a spectral hunt, with horses been ridden by riders who seem out of touch. The hounds they use, are of course, no other then the Barguests, giving them the same job as hounds in the hunts that we still do today. Now the person who leads the hunt is most interesting part of this. One of them say it is an old English king who now presides over the hunt, and his name is Helea King. An old ruler from a time before the Saxons came to these isle. It was said that he was invited to a wedding by a Dwarven King, so the King and his entourage went and stayed three days but by the time the walked out of the cave entrance and back into the forest. On the way to the castle, he spotted a farmer, but couldn’t understand what the farmer was saying. It transpired that while they thought only three days had passed, in the world of men, three centuries had passed. In shock, one of the king’s men jumped form his saddle, but on touching the floor, was nothing more then dust. Thus the king was forever more, doomed to lead the wild hunt. The man got a new identity though as time drove on, as stories started linking him to Wolden , who in turn was just a different name for Odin, leader of the Norse gods. Once I knew these details I knew how I wanted the story to go. I created a new monster here as well, the Ashen, how effective they will be remains to be seen. Till then my friends, keep crafting and telling stories, it's the most human thing to do. Wednesday already? Well as promised here's the second part of the Folklore behind the stories that I started last week. Next Wednesday I'll finish this series off with a look at the stories behind the last five short stories out there at the moment. Interested in seeing a different kind of work from me? Check out a Sci Fi Mecha story here on Royal Road, new chapters weekly! The wealth and depth of stories around the Teesside area always continues to astound me. From tales of love and murder to trapped evil entities breaking free, there is always something lurking around every corner. The idea for this story started from one line in a leaflet about Stockton on Tees that was created to celebrate the launch of the re-designed high street. It simply stated that the famed violinist Niccolo Paganini played the Georgian Theatre in the early 1800s. His nick name is what aroused my interest, as he had been dubbed, ‘The Devil’s Violinist’. Despite the way it sounds, his nickname was given because of his antics away from his performances. Further thought on the idea saw it morphed from dealing with the spirit of Niccolo Paganini, to another spirit wanting to achieve the same fame. So I was able to take one line and turn it into a story about envy and delusion, while also being the first of the stories to delve into the past of the main characters. From the moment I started writing about the adventures of Brennan and Riz, I knew that I had to write about Roseberry Toppin. The hill is the most recognisable in the area and there is many stories that surround it. Given the direction I want with in the story, a lot of these were not used in the story but do help get your imagination going. To start with, it’s Viking name is Othensberg, which roughly translated as hill of Odin. There’s been many archaeological finds on the hill, dating back to the Bronze age. There is also tales of a spring that used to exist there which was said to have healing properties. The most important tale though, is what Alfred Vincent Kidder suggested, which was that there was a pyramid, buried under the hill, that was alleged to be over three thousand years old. With some tweaking, this was the tale I used for the basis of the plot. There was notable changes, the first being that the structure is not a pyramid, and the second being the age, three thousand years is much too young for my structure. There’s still more to do with Roseberry Toppin. The Crown nightclub (which sadly closed in 2015) was a regular haunt of mine, but during all the times I was in there, I had no idea of the stories that the staff had reported. The little girl ghost, Maria, is based on real sightings that were reported at length. The ‘bad man’ however, is different from my depiction. Instead it was said that he was the occupant of that sealed room on the second floor, and that he was the cause of much dread and fear. Yes, the sealed room was supposedly real, matching my descriptions, and it was indeed said to look like the door had been broken from the inside out. I changed the ‘bad man’ though for this tale, as I thought it was more interesting to have him actually be acting in the greater good, and start spinning my version of the spiritualist churches. These will have more importance down the line. There was once a spiritualist church in Middlesbrough though, hence why I felt I could make a connection here. Valarie returned for a brief cameo but she will fully return in time. As promised, this is the first essay that was set to be included in the Brennan and Riz short story collection ("The Strange Tales of Brennan and Riz" https://www.amazon.co.uk/Strange-Tales-Brennan-Riz/dp/1729119190/ref=mp_s_a_1_1?ie=UTF8&qid=1552261025&sr=8-1&pi=AC_SX236_SY340_FMwebp_QL65&keywords=Brennan+and+Riz&dpPl=1&dpID=41eVm795vcL&ref=plSrch), it was cut for space issues but this is the perfect place for it! Please enjoy! Also don't hesitate to leave a comment below. For me, as an author, I find folklore tales (and by extension, myths and legends) endlessly fascinating. For most, the events behind them are lost to history but the resulting stories are rich in characters, giving the unseen spirits their own personalities. They fully lend themselves to the idea that our world lives right next to their vibrant world. I believe our species started learning about our world and our place in it through telling stories. They started as an attempt to explain events like the rising and setting of the sun to what the stars were. Then they became tools of culture, for stories told over roaring fires in cold dark nights. Science eventually took over the role for explaining the natural world but storytelling remains with us, and we’re constantly rediscovering lost tales and simultaneously creating new ones. They may no longer be relevant for explanations but they are eternally useful for explaining human nature. To this end, I hope we never stop telling stories of all kinds, after all the future generations will need folklore for the current era. We all have stories inside us, we just need courage to let them out. The seed for this story came from an article I read in a Thornaby related magazine, focusing on the River Tees. The original tales are simply of a spirit that lured people into the water and then drowned them. In fact these tales are quite common around rivers, with several sharing the sprit, so called Jenny Green Teeth. Of course the Water Ghouls, as I called them, represent these spirits more or less, though as far as I’m aware, they don’t have control over water like the Water Ghoul in the story. As the folklore of spirits like Jenny Green Teeth is very thin on the ground and common in a sense, you only have to compare it to the likes of the Kappa legends of Japan. The Kappa is a creature, said to be quite strange looking, being a green humanoid but with webbed hands and feet and having the beak of a bird, and like the erstwhile Green Teeth, lures people to the water where they can be drowned. The rest of the story formed after several drafts with the spirit, changing from being solely antagonistic to something else. The spirit of the girl took shape at the same time, as did the real nature of Brennan’s employer, and thus, the story’s plot came together, though it still had to be streamlined, as the original version clocked in at 4500 words. The final edits were tough and I had to lose some backstory segments, offering an extended look at what the girl’s story really was, but upon reflection, the story is better without them, as they did drag the pace down too much, and with limited words, I didn’t want to waste anything. It was with the help of Author Tracey Iston, who gave support editing, that the story Being entered in the 2017 Crossing the Tees short story competion helped focus this story, and it was in the subsequent anthology that Girl in the Water, first saw print. Two tales came together for this story. The first is the very real tunnels that run under the high street area of Stockton. They were recently in the news again when some renovation work at a place of business near the Stockton Central Library uncovered a hidden street underground that is linked with these century old tunnels. The street was said to have been constructed some odd two hundred years ago, with notches in the walls for candles, larders. There was even room for live stock to be stored before going off to market. This street was intended to be referenced within the story, but it didn’t pan out as the story was being plotted. As for the tunnels themselves, there was said to be access points at many well known Stockton locations, such as the North Eastern pub, which is referenced within the story, the Thomas Sheraton pub and the Georgian Theatre. Although unsubstantiated, there was even rumoured tunnels going under the Tees, being used for smuggling purposes. The other folklore was to do with Stockton Castle, which from documentation from the periods when the castle stood, reveal it to be not much more then a heavily fortified manor house. The stories around it said that Red Caps dwelled in it during the time when it was abandoned, and even some of the time during it’s last occupation. It was destroyed on the orders of Oliver Cromwell, not because of an enemy holding it, but instead because it was past the point of repair, having falling derelict after a short occupation by Scottish forces during the Civil War. It is worth noting though that before the Scots took it, it was a Royalist stronghold. Red Caps appear more frequently in folklore, and I’ve hewn quite close to their appearance. These goblins take their name from the hat they wore on their heads, that was said to be dyed in the blood of their slain enemies. Like hinted at the story, they used to protect treasure hordes. It made sense to tie these two pieces of folklore together for this story. Writing this story was fun but not without it’s problems. Originally, the cast of characters was bigger, with an added six people being down in the tunnels with Brennan, Riz and Valerie. Four of these were teenagers, in the tunnels on a dare while the other two were a business man and his advisor who were looking to make money on the tunnels. I got very far in the first draft with all these elements, but on successive read through, I realised something wasn’t clicking. The way the dialogue was flowing, having many characters in that situation was holding back the things everyone loved about the Girl in the Water, the interaction between Brennan and Riz. At fist, I got rid of the older gentlemen and kept the teenagers but they went eventually as well. These changes helped the story, and a few other rewrites were also made to certain scenes, making them more flavour full. While the Brownie is definitely a creature of folklore, having counterparts in the folklore of other parts of the UK and even some in Europe, the buildings the ghosts inhabit in this story is very real. The buildings were once the hamlet of Pit Top, snug in Barnaby Moor, which itself was on top the Eston Hills. The houses have long since been demolished, leaving only a covered up well hole to mark where it was. They were built to house the workers and their families of a nearby pit, however, the pit was closed down and with no local jobs, the families moved out, to go and find work anew. There was tales though that the houses became deserted for a less mundane reason, that one bad winter, they were cut off by snow. With resources short, everyone perished, but this is obviously not the case as there is a very good documentary from the early 00s which talks about the area, and touches on the sad tale of this little community, in a segment called ‘Lost Village of Pit Top’. The Documentary was called A Century in Stone and even interviews people who used to live there, but moved out once the pit was no more. Eston hills themselves were in the news a few years back as there was a grass roots campaign set up by locals to save the hills from developers. This meant that the hills are actually owned by the community through the Friends of Eston Hills group, who through means of crowd sourcing, were able to get the money together to buy the land before any developers could. To touch back on Brownies however, these work dogs of the past are indeed goblins who were friendly enough to humans to actually do house work for them, as long as you didn’t give them a gift or other payment to them. This would often act as a way to get rid of them if it was intended or not. Drog is modelled on fairly atypical Brownies in actual folklore, as is his parting message, as seen in the story of the Cauld Lad of Hylton Castle in Sunderland and in the story of Elsdon Moat Hobthrush of Northumberland. If you wanted an example of Brownies in live action media, then simply look at Dobbie the house elf in J.K. Rowlings Harry Potter series. Another aspect of Brownies that I hope to touch upon in future is that it’s said if you anger one enough, it was turn into a different type of goblin altogether, that of a malevolent Boggart, a very nasty, spiteful creature indeed. The story was more straight forward to write, but also quite hard to try and pace. It does offer some nice moments for Brennan and Riz though, and shows that Riz has practical uses as well, even if he doesn’t like it. When I was training to be a computer programmer, one of the very first things I learned was to print a simple greeting to the screen, no matter the language used. So here it is as I start something new. I aim to put content on this blog that goes alongside my published Brennan and Riz stories, mainly a few essays I did on the subject of Folklore and a bit of detail behind the stories that are out there. These were cut from the paperback but I think this is their proper home anyway. Not that Brennan and Riz will hog all the limelight... But you'll just have to wait and see what comes up! An author from North East England who writes about a talking rat.